Get fresh with this cube of mints. Pass the promotional Mints Small Cube around and get your name seen. 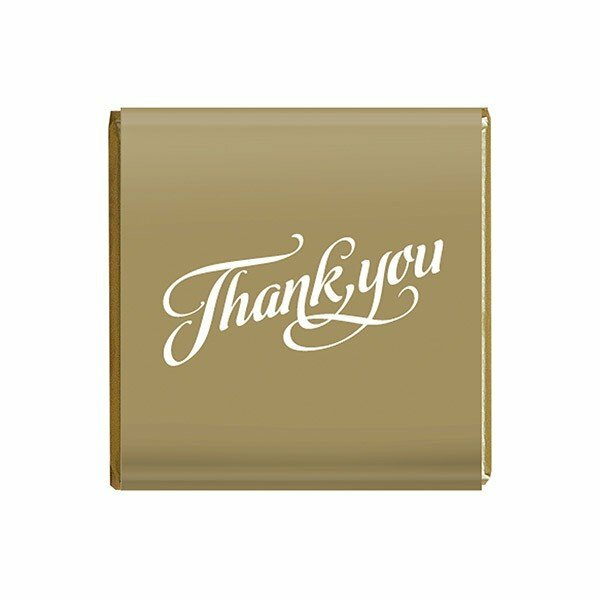 Take the branded Mints Small Cube to your promotional events and you’re guaranteed to have a very successful promotional campaign. This simple gift package is filled with tasty mints that will delight your guests and win their hearts while you make your advertising. The promotional Mints Small Cube is 40mm in width and 40mm in height. It’s made of clear acetate so the contents can easily be seen from the outside. This is great for flaunting the 60 grams of confectioneries packed inside. 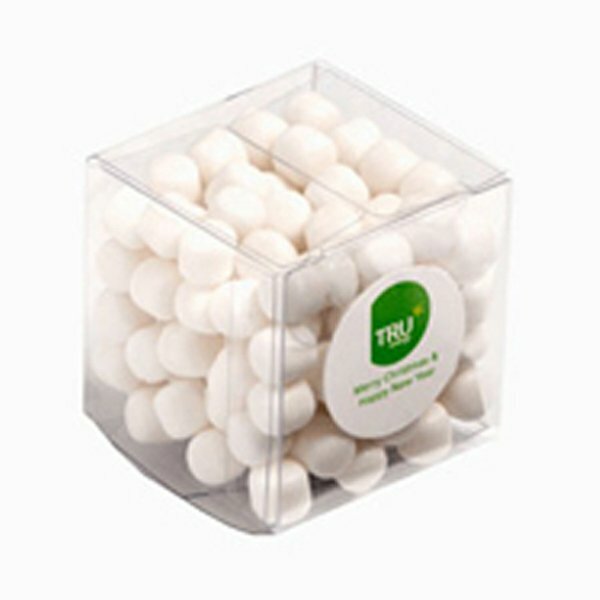 Anyone looking at the personalised Mints Small Cube will certainly be enticed upon seeing such lovely looking mints. And once they get to taste them, our mints will undoubtedly become the peg for all mints. Like all our other products, we only use high quality ingredients to make our confectioneries, so you can be assured that you’ll be getting nothing but the best. And when you want to give your brand exposure, simply send us your design like your logo or any product trademark and we’ll have it printed on a 25mm diameter sticker. 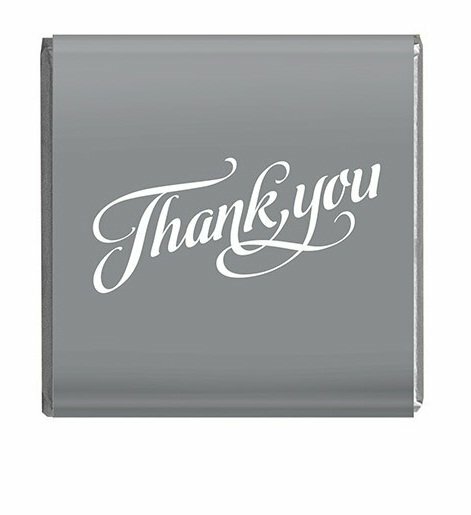 This sticker will then be pasted on a side of the cube so it will be easily seen. For another product that you might want to consider, do check out the Humbugs Square Glass Jar. These are another delicious candy treat that come inside a cool looking glass jar. Or you might also want to have a look at the Jelly Beans Corporate Colours Dispenser. This one comes with a scoop for easy distribution of contents. If you’d like to consider using wearables for your marketing campaign, you should take a look at our line of custom headgears, and check out cool products like the custom embroidered Acrylic Polar Fleece Beanie. Give us a call when you need some assistance by dialing 1300 008 300. Or if you’d like to go for live chat, you can send us a message through our site’s chat service feature.